What types of damages are most common in tort cases? The standard type of damages available in a tort case is compensatory damages, which are designed to compensate the plaintiff for the harm that she suffered as a result of the tortfeasor’s unreasonable conduct. Compensatory damages would include the medical bills incurred by the plaintiff, lost wages, pain and suffering, and other damages the plaintiff can prove that she incurred as a result of the defendant’s conduct. 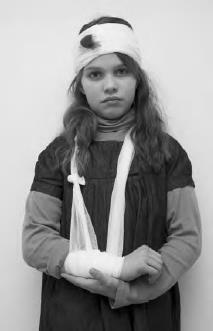 The other types of damages available in tort cases are nominal and punitive damages. Nominal damages are negligible damages or damages in name only. Juries sometimes will award only nominal damages if the plaintiff technically has proven her case but is not able to show any real harm. However, punitive (sometimes called exemplary) damages present a much different picture. Juries impose punitive damages to punish the wrongdoer and send a message that such conduct will not be tolerated. Punitive damages are based in part on the wealth of the defendant. In tort cases, the law tries to compensate plaintiffs for their pain and suffering, as well as lost wages or other damages (iStock).